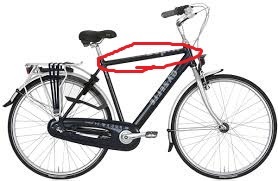 Bicycles intended for men have a top tube that always hits me on that embrassing part when I brake. Conversely, women's bikes often don't have a top tube. Why is this? Frames designed for women do have that part - its called a top tube. Historically women wore skirts, so a lower frame in the middle made it easier to mount and dismount, and was less likely to accidentally show an ankle. 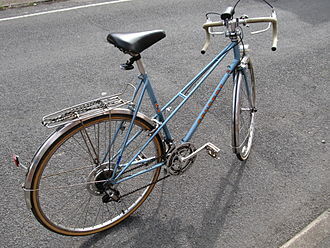 This picture shows a modern "woman's frame" with the top tube paralleling the downtube, and attaching to the seat tube lower down. 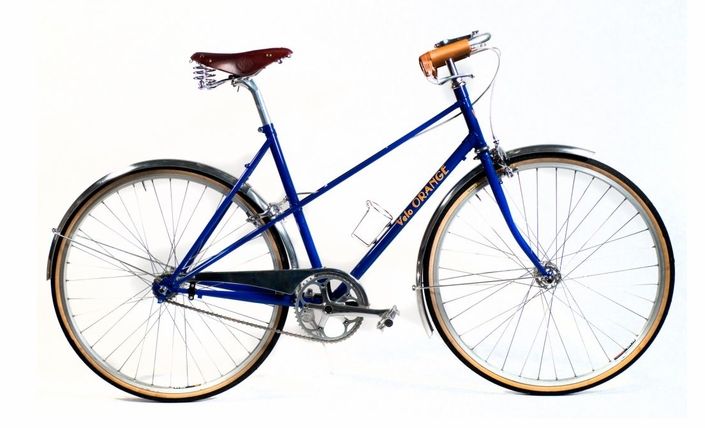 Another frame designed for with these positives is the Mixte frame, where the top tube is replaced by two separate tubes similar to chainstays and seatstays. These pass around the seattube and terminate at the headtube and the rear dropout, increasing the stiffness of the bike. They're still heavier than a normal Diamond Frame bike. Here's a photo of a Peugot showing the twin tubes. Finally - there's absolutely nothing wrong with a woman riding a DF bike frame. The main differences now are about proportions, not whether the rider wears a skirt. 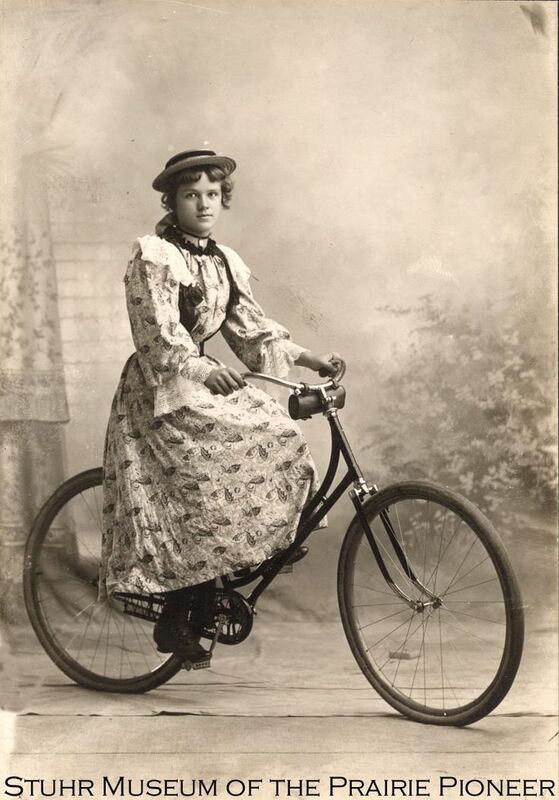 There are situations where a man fits a "woman's frame" better than a "man's frame"
Back in the day, women primarily wore dresses, and getting the dress over the top tube was difficult and awkward. So the women's bike was developed with a slanted or sloped top tube so women could step though with their dresses and ride without their dresses coming up. Although the top tube shouldn't be hitting you in that "embarrassing part" when you're braking, regardless of it being a men's bike or women's. 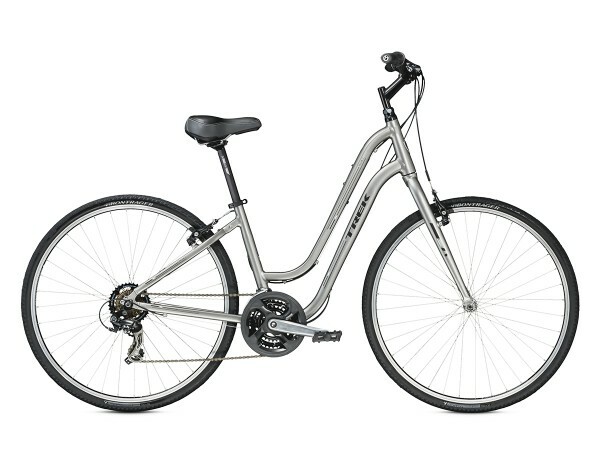 Women's bicycles have the front tube designed to curve down for their skirts, else while moving fast against the air may cause embarrassment whilst in public. Not the answer you're looking for? Browse other questions tagged frames bearings or ask your own question. Why is it common for cheap bikes to have the frame sawn in half below the saddle? Cannondale six13 52cm Carbon top tube? MInor (I think) dent in top of Orbea Alma top tube - frame ok or no?